The world is a lot different today than it was a decade ago when Marvel Studios premiered their first film, Iron Man. Lest we forget, in the first scenes Robert Downey Jr.’s Tony Stark makes a MySpace reference over the sounds of a CD boombox, and his high-tech phone is not of the “smart” variety. It was also a time when the current craze of superhero films seemed to be starting its inevitable downslide, poised to go the way of the western in cinema. Instead, the Marvel offerings proved the comic book phenomenon was only just beginning. A few weeks after Iron Man’s tenth anniversary, Avengers: Infinity War began the denouement (with a lot of rising-action) of the multi-movie story arc envisioned when this project began. It’s a cultural touchstone for those who grew up (or, merely grew older) with these films, and they are all worth a second look. Marvel already owned the modern superhero big-box-office trend after they sold the rights to all of their mutant heroes and villains to 20th Century Fox. That first X-Men film in 2000 sent up a flare to comic book fans around the universe that the time was finally right for superhero flicks. Especially after 9/11, the world needed a little fantasy and some heroes to look up to, and special effects improved enough to portray these fantastical beings realistically. There were high moments ( Spider-Man, X2, Batman Begins) and there were low moments ( X-Men: The Last Stand, Catwoman,any Fantastic Four movie). Before the dawn of the 21st century, comic book movies felt like a flash-in-the-pan fad and a quick way for companies like Marvel to stay afloat as sales of their books plummeted from their heights in the 1990s. Flush with cash, Marvel took a huge gamble. The company decided to get into the movie business, producing their own films and, like their books, letting the characters inhabit a shared universe. With the mutants off at Fox, the Hulk at Universal, and Spider-Man and the FF at Sony, it wasn’t that exciting a prospect. Iron Man, a big deal in the comics but never as popular as Spidey or the X-Men, would headline the first movie. At the time it seemed like a terrible idea. They were going to further oversaturate the comic book films market with a B-list character (at best). Films based on Marvel properties would end up competing with one another. Audiences were already growing fatigued with superheroes. And with their biggest stars sold off to other studios, those characters’ absences loomed over the proposed Marvel Cinematic Universe. The idea of how cool it “could have” been would forever loom over what they created. To get to Endgame, Marvel had to hit a lot of benchmarks along the way. However, the first two were met in that inaugural year from the studio. The first was to see if a “B-list character” could carry a film alone while making it a financial success, even when there wasn’t a huge, baked-in fanbase. In an interview in advance of the film’s release, director Jon Favreau acknowledged this: For the film to work, RDJ had to hit all the right notes as Tony Stark, and Iron Man — meaning the suit — had to be believable on-screen. Of course, as other cape films have proven, the story also has to be a good one. Jeff Bridges, who played Tony’s confidante (and the villain) Obediah Stane, said that he, Favreau, and RDJ would write and rewrite the scenes up until the day they committed them to film. Given all this, the film didn’t need to be a massive hit, it just had to be profitable. 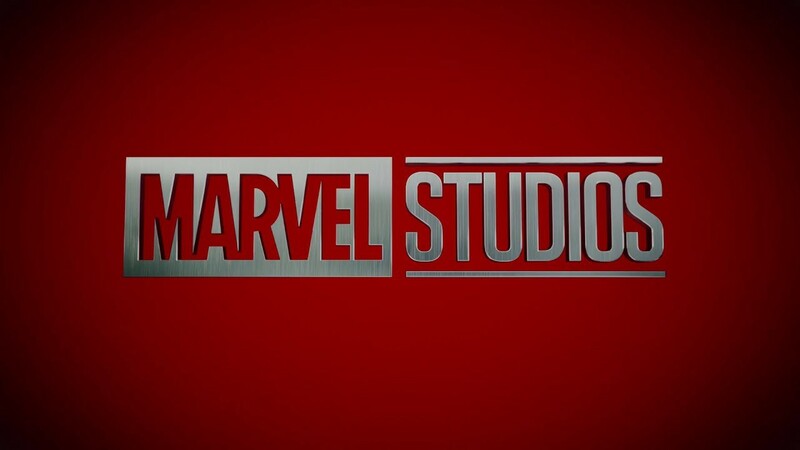 It was a trial balloon for Marvel Studios, and if it failed it would have been a setback, but not the end of the game. In fact, their second movie, The Incredible Hulk, premiered just six weeks after Iron Man. This brings us to the second thing the nascent Marvel Studios needed to prove. They needed to prove that if one of their movies wasn’t a hit, they could survive it. Iron Man was the gamble, the Hulk movie was their “sure-thing,” at least until audiences and critics got the chance to voice their opinions. The rights to Hulk were sold off initially to Universal, who made a movie in 2003 with Ang Lee at the helm that was released to mixed response from moviegoers. The Incredible Hulk was originally a sequel, but Eric Bana was recast and enough time elapsed that production rights reverted to Marvel (though Universal retains distribution rights for solo Hulk films). Edward Norton was cast as Banner, and the film served as a half-sequel-but-also-a-reboot of the Hulk franchise into this larger world. It was a weird movie, but of the two Hulk films, it is the superior one. Like they later did with Spider-Man — another character whose rights are shared — Marvel assumed people were familiar enough with the origin story to ignore it almost completely. All this film had to do was make as much money as its predecessor did for it to be a success. It surpassed that goal, earning some $20 million more than its predecessor. It was a hit. But, The Incredible Hulk is often ranked as one of the worst MCU movies, if it is even remembered at all. This is not necessarily the fault of the film — whose over-reliance on the Betty Ross/Banner love story is regrettable — but rather because of the over-performance of the other MCU movie. Iron Man was a phenomenon. It grossed more than $500 million, and — in hindsight — made it clear that Marvel had discovered a near-flawless formula for making compelling superhero movies. The “Phase One” formula can be found throughout all of the initial MCU films. The first piece is that characters are just as interesting out-of-costume as they are when in their respective masks. The second part of the formula was that instead of facing the most iconic villain from the rogues’ gallery — like Batman versus the Joker, Superman versus Lex Luther, X-Men versus Magneto, etc. — they would face a darker version of themselves. Iron Man faces Iron Monger. The Hulk faces the Abomination. Captain America faces off against the Red Skull, retconned in the films to be Dr. Erskine’s (#TucciGang) first super-soldier. It’s a common archetype in these sorts of stories, adding a kind of mythological flair. Yet, it was not a common practice in comic films, with directors opting to go with the best-known villain for their film. The other thing Marvel films are noted for — though they didn’t invent this — is the post-credits scene. There has been some pushback from people saying that these narrative tags on the movies are “ruining” blockbusters. James Mangold, director of the two best stand-alone Wolverine films, also said that post-credits scenes are an affront to the viewer. Due respect to their storytelling acumen, but that’s simply not the case. If you don’t like post-credits scenes, simply stop watching the films once the credits start to roll. The two post-credits scenes in the first Marvel movies served a very specific purpose and one that, arguably, rarely works inside the main narrative: world-building. Put another way, Mangold and the others should approve of these scenes because rather than tell the story of the film, they hint at a much larger story waiting to be told. In Iron Man, Nick Fury (played by Samuel L. Jackson) introduced the idea of “the Avengers initiative.” In The Incredible Hulk, Tony Stark appears and talks with William Hurt’s Thunderbolt Ross about the “team” he is putting together. These tiny threads, when weaved together, served to create both a cohesive element in these films that no other superhero franchise has been able to pull off since. It laid the foundation for the first Avengers film, which feels inevitable in hindsight but wasn’t at the time. It is easy to forget what a ridiculous gamble this was. One that no one was sure would pay off. The conventional wisdom said movie audiences would not be interested in a connected world. The conventional wisdom was that the idea that needing to see four films before seeing Avengers would be too much of a commitment and might keep audiences away. Obviously, everyone who thought that was wrong because comics fans love complex and involved continuities. About 23 days from the time of this writing, a possibly record-breaking number of people will head to theaters to see Avengers: Endgame. More so than any Marvel film before it, fans will need to know what happened in 22 previous films to fully appreciate it. To binge them all back-to-back before seeing the film would take a few days. If fans wanted to watch the entire Marvel Cinematic Universe, including extra content and TV shows, they would have likely had to start watching no later than next Monday (factoring in time for sleep and bathroom breaks). The point being: it’s a hell of a lot of content. Even if no other MCU movie makes a dime, what they’ve accomplished with The Infinity Saga is a gift to all comic book fans, past, present, and future. The Marvel movies are not without their critics, some of whom may even be right. I am not the guy to ask about that, because I am a huge apologist for superheroes. But there is no denying that this is a cultural moment, rare for these divisive and strange times. Everyone has their feelings about these films, either in favor or against them. No one hasn’t heard of the MCU, and that’s the kind of cultural penetration that some didn’t think would be possible today. So far, no one else has been able to replicate their success in creating a shared universe of this magnitude, especially where superheroes are concerned. Universal wanted to create a shared universe amongst their canon of classic monsters, but the idea was killed in the metaphorical crib. Warner Bros. is, of course, trying to do it with their D.C. heroes. Their recent spate of superhero films are likely profitable, but not nearly as profitable as the Marvel films have been. Outside of Wonder Woman and Aquaman, their films haven’t been huge critical successes. Their example shows how important patience is to building these universes. If Marvel had followed up Iron Man with Captain America: Civil War, then followed by The Avengers, their reception would likely be the same as it was for the early DCEU. That’s the most important lesson in storytelling that we can take away from the grand MCU experiment. It’s one of the most basic tenets of storytelling: No matter what else is going on, you have to make the audience care about the characters. By focusing on the individual characters first, people cared about them when they met up, then when they fought, and fear their stories coming to an end. In the weeks leading up to Endgame, let’s go back through all of the previous films (and maybe some of the TV series) to celebrate a remarkable cultural achievement. The MCU might change the movie business forever or it may just be an aberration. However, there is no denying that they’ve created a mythology that will live in the hearts of kids and adults for decades.